Hi, Julie. Upside down bats. Thanks, I like him too! I wish he would stop trying to steal my food though. Just like old times this time slot. Wish I could stay for the full 3 hours. Broadcast. Thanks for the heads up about that tribute to Trish Keenan the other day, Julie. I have to re-listen to that at a quieter time of day. I have to catch what I missed. I asked before on the other comments board but what genre does broadcast fall into if any? Really has a 60s sound to it. First time I heard them, I actually thought it was an old song from that time. like Stereolab it has a bit of a lounge-y quality to it. Yes. I need to check out more from that band. WFMU turned me on to them, probably Irwin at that. They have a zillion cds. I always thought Broadcast somewhere in the nebulous region of British hauntology and post-continental cinematic lounges after splashing around in puddles of Stereolab. Wow, new Legendary Pink Dots! They're touring, NorthGuinea, playing Brooklyn tomorrow (friday) night! Whoa. I was just talking to a friend about how I really didn't fit with the times back in high school and we traded names of all the bad music that came out in the late 80s and early 90s. Fitting song. for me the 90s were filled with the ethereal gothy stuff coming out of Europe & on projekt and Juliana Hatfield and Liz! @Julie I missed all that great stuff and only started to find it in the early 2000s. Had I only known. I never get tired of this song! Unfortunately, I'm down to my last $8, but I do have an interview for a fun good job next week, so, hopefully by next year I'll be able to see decent live music again. Thank you Julie for todays playlist. It's very chilling on that very sad day for me. That first hour just flew by and sadly, I have to go. Hope the comments board isn't too quiet. Take care everyone. Such a tinkling clear voice! Such good music! Hi there tullius, thank you! Loved Eliza Rickman. Never heard of her. Briilliant. A shame i missed that Set the Controls, will check it out on the archives. @Julie: Gilli Smyth's name was pronounced like "Jili Smeith"...took me years to figure that out. RIP Gilli. 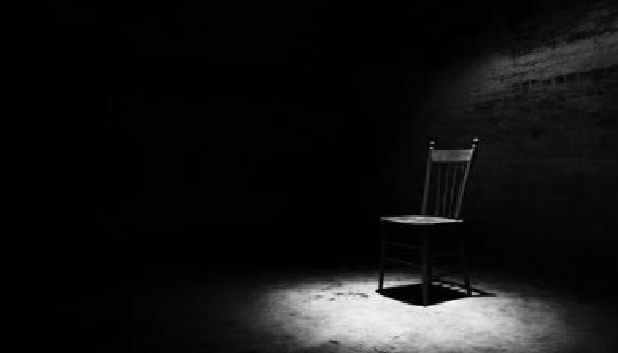 Ah, the empty chair. Eastwood in the house? @wood-elf: Wow, never heard of Gilli, but just found out she was in Gong. I'll have to find out more about her. If you could find some, that'd be a nice bonus, but don't sweat it! Never heard of Johnny Aries, this is a cool retro sound. Us "Aries" gotta support each other! Oh wow, thanks wood-elf! I'll check that out later. Hah, didn't realize ELO did a "Julie" song! Always like when that "And Then He Kissed Me" swaying rhythm appears in a song. me either till this week! Hi, all. Dark enough for ya? Dark, and more important wet enough for me outside! Welcome, Dark Knight Ken von Hyde Park! Pretty great half hour since tuning in, Julie. stepping quietly in the door, too. lovely cool evening for sleep last night. and also happy to grab the last bits of the 3-6 slot! hey all. well I think that's it for me...thanks for listening you guys! See ya...whenever! I don't I will have to check it out! Thanks Julie! Always love catching you live, particularly in the old Upside-Down Bat time slot. Thanks for the fill-in, Julie. Stay safe on any train rides you take.